Unfortunately, this unique vacation spot is not easily accessible. It is a well-hidden secret, about 20 kilometers away from Vourvourou and 5km before a nearby village called Sarti. In order to reach it, you should leave the main street of east Sithonia and drive along a rought dirty for about 350 meters up to the coastline. There you will find the main beach, a beach bar with sun-beds and umbrellas, but try to reach the area before 11 am, so as not to run the risk of not finding an empty spot. There are, of course, other beaches further up the coast where you will definitely find some space to relax, but you should pay extreme attention while walking along the paths; they are steep and sometimes very dangerous, as there are covered in bushes and rocks. Your way to Kavourotripes by boat! If you would rather enjoy a more laid-back atmosphere, and the ultimate sense of freedom and privacy, you can explore this retreat by boat. Set off from our base and sail ahead, towards the southern part of the second leg of Chalkidiki, having a wonderful view of Mount Athos. 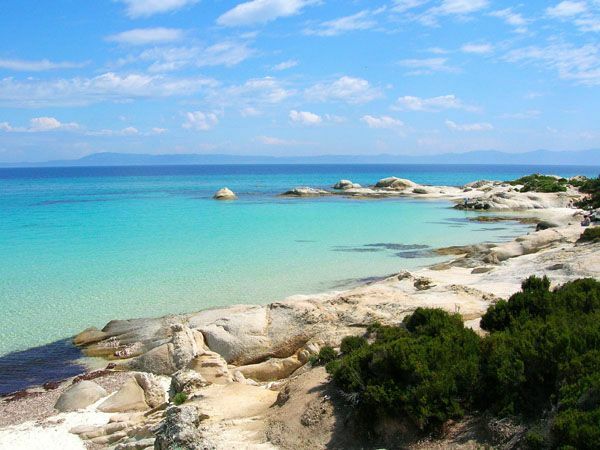 Enjoying, thus, a leisurely boat trip of just 15minutes, you will find yourself in one of the most exotic beaches of Chalkidiki. Kavourotrypes is a perfect destination that suits every taste. Moulded by nature over thousands of years, the unbelievably beautiful sculpted cliffs make this landscape truly unique. 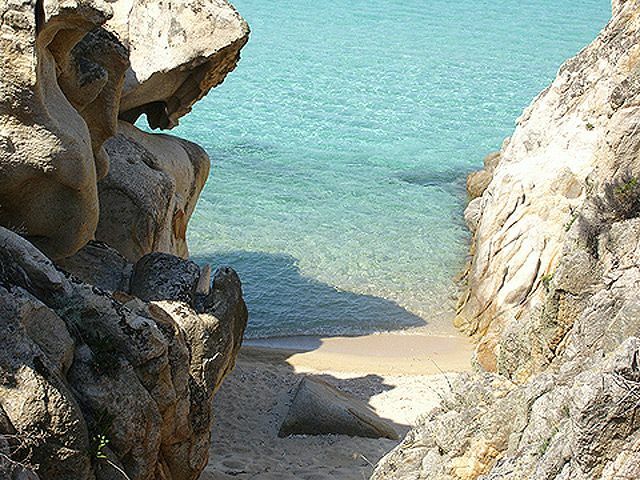 Don’t miss the chance for a dive in this heavenly spot when in Chalkidiki. And if you wish to have maximum comfort and relaxation, rent a boat from Dream Swim, and explore a multitude of smaller beaches which may seem inaccessible otherwise.